and also ASMARA dishes are recorded for television programs. 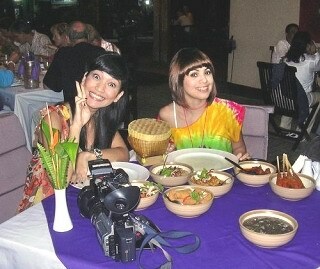 ASMARA-dishes are presented in Indonesian television. 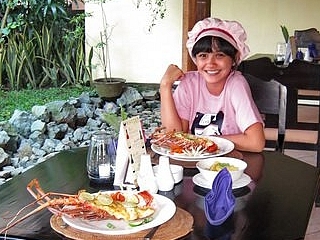 Indonesian TV-Stars visiting ASMARA for dinner. 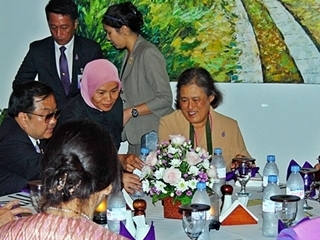 The Thai Princess Sirindhorn to dinner at ASMARA. Princess Sirindhorn browsing in ASMARA Art Collection. A lobster is selected for TV program 'Koko Cilic'. The grilled lobster after preparation of the meal.